The New Jersey Governor’s Advisory Council Report on End of Life Care says more than a quarter of adults, including seniors, have no documentation available if they’re not able to make healthcare decisions for themselves. WBGO’s Ang Santos with more from a recent NJ Spotlight Panel of experts, discussing efforts to prepare people for that inevitable challenge ahead. 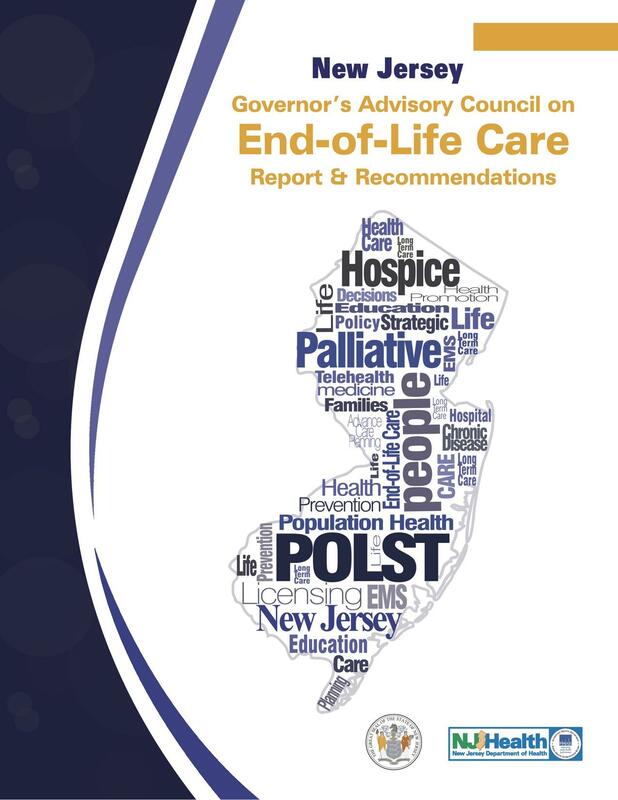 The Governor’s Advisory Council Report on End of Life Care lays out a roadmap to create a more comfortable life for New Jersey residents in their final days. It’s been a little more than seven years since New Jersey’s Practitioner Orders for Life-Sustaining Treatment law, or POSLT was signed by former Governor Chris Christie, empowering patients to work with their preferred medical professional to create advance directives. But still people end up in hospitals with no living will. The Governor's Advisory Council Report on End of Life Care says more than a quarter of adults, including seniors, have no documentation available if they're not able to make healthcare decisions for themselves.